Author: Grace, Carol Set In . . . 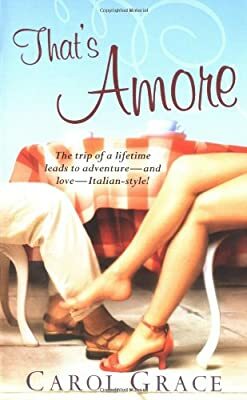 Description: A postcard from her high-school flame, Giovanni, an Italian exchange student, sends divorcée Anne Marie Jackson on a once-in-a-lifetime trip to Italy, where she comes face to face with the handsome but mysterious Marco Moretti, a man who offers to show her Italy while searching for the elusive Giovanni. Original.